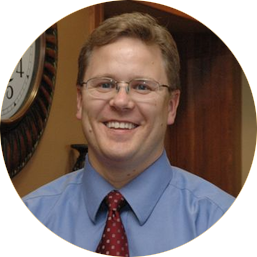 Although he is a talented dentist who has been serving the dental needs of the Meridian and Boise area for more than 12 years, Dr. Matt Kooyman describes himself as just the guy next door. He is pleased to help his neighbors and friends in the community achieve healthy and beautiful smiles. After earning a bachelor’s degree in medical biology from the University of Utah, Dr. Kooyman earned a dental degree from the University of Iowa. He is committed to lifelong training so that he can offer the latest, state-of-the-art dental care to his patients. To this end, he has completed numerous hours of post-graduate dental training, including courses in appliance therapy and restorative dentistry. Most recently, he completed a course on orthodontics and can now offer treatment with Invisalign®. Dr. Kooyman is also a member of the Academy of General Dentistry. Dr. Kooyman and his wife, Becky, enjoy the wonderful outdoor opportunities the Boise area has to offer. They share their home with their five wonderful children, who provide great joy and interest to their time away from work.